We were instructed to carry out the GRG ceiling works in this commercial building. 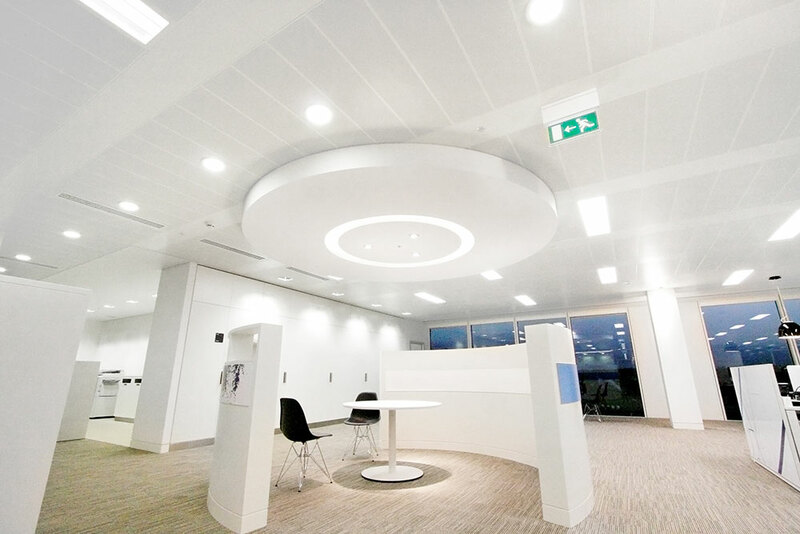 The project was constructed from our pre-made grg components to form various diameter dropped circular ceiling features. These were suspended from the existing slab by a lightweight metal support framework designed and installed by us. Our grg fabrication was chosen as the best material and method of build to achieve the quality and architectural complexity of the design. Our work was used throughout the main restaurant ceiling areas and within the main office areas to form eye-catching features above reception desks. Design & Visual Concepts completed this project achieving the very highest level of quality to the specialist feature ceiling areas and well ahead of schedule. Both the client and the architects were delighted with the impressive and striking end result.